The following information is provided as a service to visitors to this website. The information should not be construed as legal advice, since this agency cannot interpret the laws regarding cemeteries. If you have questions about Virginia’s burial laws or your rights as a citizen, we strongly urge you to contact a legal professional. How do I record a cemetery in DHR’s Inventory? What do I do if I find human bones or an unmarked grave? Someone else now owns the land where my ancestors are buried. What are my rights regarding that cemetery? I have an old abandoned cemetery on my property. What are my legal rights and obligations? Do I have to maintain the cemetery or let family members come on my land? Whose responsibility is it to take care of old cemeteries? What are the legal means for removing and relocating human remains from cemeteries and burial places? Who is responsible for getting the court order or permit? What are “archaeological permits” for removing human burials? What about Native American graves? When is a cemetery a historic property? What questions should I be prepared to answer to receive the most helpful and accurate guidance from DHR staff regarding a cemetery? Who should I call if I find human bones, coffin remains, or other evidence of human burial? Who should I call if I find a burial or cemetery on my land? Who should I call if I know of graves that are being dug up, or grave stones, cemetery fences, etc., that are being damaged? Who should I call to find out about local regulations regarding human burials and cemeteries? Who should I call to find out about permits for conducting archaeology on human burials? Who should I call if I need a copy of the laws pertaining to cemeteries? Who should I call if I want to help preserve old graveyards and isolated graves? Download this Citizens Cemetery Recordation Form, fill it out according to the instructions, and send it to DHR’s Archives. Staff will integrate the information into our databases. Contact DHR Archives staff for assistance. First of all, do not remove anything. Disinterring (removing from a grave) or displacing part or all of any buried human remains is a Class 4 felony under Virginia law (§18.2-126). Conviction is punishable by two to ten years in prison and up to $100,000 in fines. This law applies to all human burials, whether prehistoric, historic, or modern. If you disturb or remove human remains you might also compromise a crime scene. Exposed bones may be associated with criminal activity (homicide, grave vandalism, etc.) or may otherwise require the attention of trained law enforcement personnel. If you find human bones (or even bones that appear to be human) you should leave them in place and report your find to the local or state police (www.vsp.state.va.us) immediately. The police should also be contacted if you know of graves, gravestones, cemetery fences, etc., that are being damaged or desecrated. Willful or malicious damage to cemeteries is against the law, and is punishable by one to five years in prison and up to $25,000 in fines (§18.2-127). Take photographs if you can, and contact your local law enforcement agency or Commonwealth’s Attorney to report possible vandalism to a cemetery. If you can recognize unmarked graves as an old cemetery or Native American burial, but it is not being vandalized, you don’t have to report it to anyone. The Department of Historic Resources does maintain information on old cemeteries, and we can help if you wish to make sure that someone knows about the site. Our Citizen Cemetery Recordation Form is specifically designed for use by people who are not necessarily historic resource professionals. Download the form, complete the information at your convenience, and submit it with the location clearly marked on a USGS quad map. If you need assistance completing the form, please contact our the DHR Archives at 804-482-6102. If you live outside of the Richmond area, contact your nearest DHR regional preservation office. Unless the deed of sale for the property specifies certain conditions of the sale, then most rights go to the new property owner. Virginia law does require that landowners allow access to cemeteries on private property for the purpose of visitation by family members/descendants or plot owners, and for genealogical research. You must give reasonable notice and abide by any restrictions the landowner may place upon frequency, hours, and duration of access (§57-27.1). If your property lies adjacent to the property containing your family cemetery, and you feel that the cemetery has fallen into neglect, you may petition the city or county circuit court for relief, including permission to access the property and maintain the cemetery (§57-39.1). Finally, Virginia law requires any property owner intending to obtain a court order to remove and relocate human burials from any abandoned cemetery on his/her property to make a reasonable and good-faith effort to notify the family and/or descendants of the buried individuals (§57-38.1 and §57-39). If you are concerned about your family cemetery, you may wish to contact the clerk of your city or county circuit court and find out how best to ensure that you are contacted in the event that a property owner files such a petition. Heirs and descendants may also petition the court for permission to relocate an ancestor’s remains from any abandoned family cemetery, with the same caveat (§57-38.2). You may wish to determine whether or not your ancestors placed a reservation of rights on the cemetery property. This means that someone reserved the right to access and maintain the parcel as a cemetery. This information should be on every deed and deed transfer document for the property and should be on file with your city or county land office. Make certain that you search as far back as possible, however, because if the information was inadvertently omitted at some point, no subsequent deed will contain it. Reservations of rights may also be waived by their beneficiaries, and you should be alert for this contingency as well. As the owner of property that includes a cemetery, you are not obligated to do anything as long as you leave the cemetery alone. You may maintain the cemetery if you wish, or allow descendants or other parties to do so. Virginia law protects all cemeteries from willful and malicious damage, whether by the owner or by others (§18.2-127). Should you decide to remove and relocate the graves so that the area may be used for other purposes, you are required to file a bill in equity with the city or county circuit court for permission to do so (§57-38.1). This petition will require a good faith effort to identify and contact the families or descendants of the persons interred in the cemetery, as well as publication of a notice of intent in a local newspaper. If the cemetery is unmarked, and you wish to have the remains recovered by professional archaeologists, you will also require a permit (download the permit application) from DHR (§10.1-2305). Unless otherwise ordered by the court, you will be responsible for all costs incurred during the relocation process. There is no Virginia law that requires landowners to maintain cemeteries on their properties, although section §57-39.1 of the Code of Virginia does provide an avenue for adjacent landowners to petition the courts for relief in the event that a cemetery is found to be neglected and unsightly, thus reducing adjacent property values. You are required to allow access to the cemetery for visitation by family members or descendants of the interred persons or by owners of any plots within the cemetery, and for the purpose of genealogical research (§57-27.1). You have the right to designate the frequency, hours, and duration of any access, and you are not required to create a special access route if one is not already present. Although Virginia law protects cemeteries, graveyards, and burial sites from disturbance and damage (§18.2-127), there is no law requiring that the owner of a cemetery maintain that cemetery. If you are an adjacent landowner, and feel that a neglected or unsightly cemetery on someone else’s property lowers the value of your property, you may petition the city or county circuit court for relief (§57-39.1). If you would like to take care of a cemetery, but do not own the property, make sure that you discuss your ideas with the landowner and obtain his or her permission to be on private land. If you do not know who owns the property, you can access this information through your local planning department or circuit court clerk’s office. You should also contact your city or county’s Commonwealth’s Attorney to make sure that you are aware of any local requirements or regulations with regard to cemetery treatment. In the Commonwealth of Virginia, human remains can be legally removed from a cemetery or burial place and relocated to another cemetery by obtaining an order from the city or county circuit court (see §57-36, §57-38.1, §57-38.2, and §57-39). In the case of unmarked burials within formally chartered cemeteries that will be recovered by professional archaeologists, both a court order and a permit from the Department of Historic Resources will be necessary (§10.1-2305). Relocation of burials should be considered as a “last resort,” applicable only when the burials or cemetery are endangered or when family or descendants request their relocation. While the preferred treatment of cemeteries and burial places is preservation in place, there are specific instances when removal is considered to be in the public interest. In these cases, DHR can provide recommended procedures for the sensitive removal of human burials, as well as a list of archaeological consultants available for this purpose. Removing a burial or cemetery is ultimately the responsibility of the individual(s), company, or agency that owns the land and proposes to use the land in a different way. For example, if a developer buys farmland containing a cemetery and wishes to build on the cemetery plot, that person will be responsible for getting the appropriate authorizations, contracting for either a funeral director or archaeologist to conduct the removal, and paying for it. If a homeowner finds burials while building an addition or digging in a garden, then the homeowner is responsible for getting permissions, etc. The costs of removing and relocating human burials are the responsibility of the person or entity requesting the court order/permit. Permits for the removal of human burials are required of any person or entity that conducts any type of archaeological removal of human remains, including archaeological investigations conducted as part of a court-approved removal of a cemetery. Persons or entities requesting such removal of human burials from a historic cemetery must obtain a permit for the archaeological removal of human burials. Click on the following link to download the Permit Application for Archaeological Removal of Human Burials. If the burials are within a formally chartered cemetery, you must also obtain a court order pursuant to §57-38.1 and §57-38.2, and §57-39. If the burials are not within a formally chartered cemetery a court order is not necessary. Virginia laws protect all cemeteries and gravesites equally. The same laws prohibiting malicious damage and removal of a body from a grave without proper authorization apply to Native American graves in the same way that they apply to modern cemeteries, family cemeteries, and other unmarked graves. Digging up a Native American grave to collect relics is a felony offense—as is grave robbing in any form. The primary difference with Native American graves is that locating direct descendants for specific gravesites is generally not possible. For that reason, careful consultation is necessary. Official contacts for dealing with addressing Native American graves include the office of the Secretary of the Commonwealth, the seven federally-recognized tribes (Chickahominy, Eastern Chickahominy, Monacan, Nansemond, Pamunkey, Rappahannock, and Upper Mattaponi) and the four state-recognized tribes (Mattaponi, Nottoway, Cheroenhaka Nottoway, and Patawomeck), and, in some cases, tribes recognized by other states or the federal government. DHR considers cemeteries or burial places to be historic if they meet, or are likely to meet, the criteria for inclusion in the National Register of Historic Places. Thus a cemetery would be considered historic if it is (A) associated with events that have made a significant contribution to the broad patterns of our history; (B) associated with the lives of persons significant in our past; (C) embodies distinctive characteristics of a type, period, or method of construction, or that represent the work of a master, or that possess high artistic values, or that represent a significant and distinguishable entity whose components may lack individual distinction; or (D) have the potential to yield information important in prehistory or history. While cemeteries are not generally eligible for the National Register, as archaeological sites, burials may meet Criterion D by yielding information important to our understanding of history or prehistory. The National Park Service provides a discussion of these issues in the publications entitled Guidelines for Evaluating and Registering Archaeological Properties (2000) and Guidelines for Evaluating and Registering Cemeteries and Burial Places (1992). What questions should I be prepared to answer to receive the most helpful and accurate guidance from DHR staff? Where is the property located? If possible, cite the county or city and approximate location using highway route numbers, so that staff can use a topo map to find out whether the cemetery is previously recorded or simply to determine where it is located. What type of development is going on (subdivision, road, office park, etc. ), and, if applicable, the name of the subdivision? Frequently this information will be found on a (usually big) sign promoting the project. 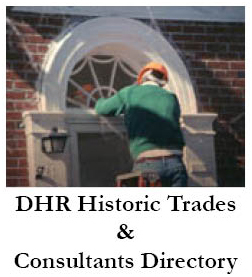 The information is useful when DHR staff searches our database of projects that have undergone review. What evidence is there of a cemetery or burial (markers, depressions, fences, exposed bone, etc.)? This is very important because there are different courses of action depending upon your response. The more information provided, the better. What is in the vicinity of the cemetery? Is the cemetery associated with any structures? Is the cemetery associated with any church, religious group, farm, town, or ethnic group? … if I find human bones, coffin remains, or other evidence of human burial? Leave everything where you found it and report your discovery to the local or state police immediately. This may be a crime scene. … if I find a burial or cemetery on my land? If you find an unmarked grave, you may want to contact your local law enforcement agency officials and report the find. Law enforcement officials will determine whether or not the burial is the result of a crime. Unmarked burials, marked graves, and cemeteries may simply be left in place. DHR will be happy to record the presence of the graves or cemetery in our database as well. Click on the following link to download the Citizen Cemetery Recordation Form. … if I know of graves that are being dug up, or grave stones, cemetery fences, etc., that are being damaged? Contact your local law enforcement agency or Commonwealth’s Attorney to report possible vandalism to a cemetery. … to find out about local regulations regarding human burials and cemeteries? Contact the local government attorney’s office. … to find out about permits for conducting archaeology on human burials? Contact the Virginia Department of Historic Resources. You may also download this Permit Application for Archaeological Removal of Human Burials to start the application process. … if I need a copy of the laws pertaining to cemeteries? Information regarding the Code of Virginia, as well as local regulations, can be obtained by contacting your local government or visiting your local library. DHR’s index to the Code of Virginia is located here. … if I want to help preserve old graveyards and isolated graves? Preservation of historic cemeteries and burial sites in their original place and form is the preferred treatment option. Good cemetery maintenance strategies should incorporate the gentlest, most low-impact measures possible, and should address issues of long-term care (including the financial commitment necessary). Temporary or hasty solutions will only postpone a recurring problem and may inadvertently cause additional problems. DHR advocates innovative strategies for the long-term maintenance of historic cemeteries that are compatible with the cemetery’s traditional form. DHR staff can provide broad-based technical assistance regarding the preservation of historic cemeteries. This assistance includes recommended options for the treatment and preservation of cemeteries, and information regarding the historic context and traditional form of regional historic cemeteries. Under what program are funds available to care for historical African American graves and cemeteries? §10.1-2211.2 of the Code of Virginia describes the disbursement of funds through the Department of Historic Resources for this purpose. Such funds may only be disbursed to “qualified charitable organizations” as defined in this section of the code. What graves and/or cemeteries are eligible for such funds? Graves and cemeteries established prior to January 1, 1900 for the interment of African Americans and that are owned or maintained by a “qualified charitable organization” as defined in §10.1-2211.2. Only those graves and cemeteries listed in the statute are eligible to receive annual appropriations. How can I add a cemetery to the list to receive funds for grave care? Adding a cemetery to the list in §10.1-2211.2 of the Code of Virginia requires the assistance of a member of the General Assembly who must introduce a bill adding the cemetery to the list during a General Assembly session. Funds must also be appropriated each year in the budget bill. How much money is available for the gravesite care program? Currently, annual appropriations for grave and cemetery care are set at $5 per grave. For example, an organization providing care for 10 graves would be eligible for an annual appropriation of $50. §10.1-2211.2 also provides for larger, one-time appropriations for “extraordinary maintenance, renovation, repair, or reconstruction” in cemeteries on the list. These large, one-time appropriations must be preceded by an appropriation made available by the General Assembly for this purpose and are granted at the discretion of the Director of the Department of Historic Resources. Do these awards require a matching share? No local matching funds are required for any grant made under §10.1-2211.2. How are the funds released? On or after July 1 each year, an officer of a “qualified charitable organization” submits to the Director of the Department of Historic Resources (DHR) a request for funds under this Code section. The Director then requests the Comptroller of the Commonwealth to draw an annual warrant from the State Treasurer requesting the amount as appropriated. Once the funds are allocated to DHR, as the pass-through agency, DHR then disburses the funds to the “qualified charitable organization.” An officer of the “qualified charitable organization,” must submit a certified statement after July 1 of the following year declaring that the funds appropriated in the preceding fiscal year were or will be used for the purposes as specified in §10.1-2211.2. For what kinds of work can the funds be used? Section §10.1-2211.2 defines acceptable activities as consisting of “routine maintenance of its historical African American cemetery and its graves” as well as “the erection of and caring for markers, memorials, and monuments.” Generally annual appropriations are used for mowing grass, trimming shrubbery or trees, re-setting fallen markers, repairing walls or fences, etc. Under what program are funds available to care for the graves of Confederate veterans? §10.1-2211 of the Code of Virginia describes the disbursement of funds through the Department of Historic Resources (DHR) for this purpose. Such funds may only be disbursed to Confederate memorial associations caring for such graves and cemeteries. What organizations can get the funds? Only those Confederate graves and cemeteries listed in the statute are eligible to receive annual appropriations. How can I add my organization to the list to get funds for grave care? Adding a cemetery to the list in §10.1-2211 of the Code of Virginia requires the assistance of a member of the General Assembly who must introduce a bill adding an organization/cemetery/church to the list during a General Assembly session. Funds must also be appropriated each year in the budget bill. How much money is available for the gravesite care program? Currently, annual appropriations for gravesite care are set at $5 per grave. For example, an organization providing care for 10 graves would be eligible for an annual appropriation of $50. §10.1-2211 also provides for larger, one-time appropriations for “extraordinary maintenance, renovation, repair, or reconstruction” in cemeteries on the list. These larger, one-time appropriations must be preceded by an appropriation made available by the General Assembly for this purpose and are granted at the discretion of the Director of the Department of Historic Resources. Do these awards require a matching share? No matching funds are required for any grant made under §10.1-2211.1. How are the funds released? The Virginia Division of the United Daughters of the Confederacy (UDC) administers the funds on behalf of the Department of Historic Resources (DHR). On or after July 1 of each year when annual funds become available, an officer of the UDC submits to DHR a request for funds under this Code section. The Director of DHR then requests the Comptroller of the Commonwealth to draw an annual warrant from the State Treasurer requesting the amount as appropriated. Once the funds are allocated to the Department, as the pass-through agency, DHR then disburses the funds to the UDC. An officer of the UDC must submit a certified statement after July 1 of the following year declaring that the funds appropriated in the preceding fiscal year were or will be used for the purposes as specified in §10.1-2211. For what kinds of work can the funds be used? §10.1-2211 describes eligible work as “routine maintenance of their respective Confederate cemeteries and graves” and “erecting and caring for markers, memorials, and monuments.” Generally, annual appropriations are used for mowing grass, trimming shrubbery or trees, re-setting fallen markers, repairing fences or walls, etc. 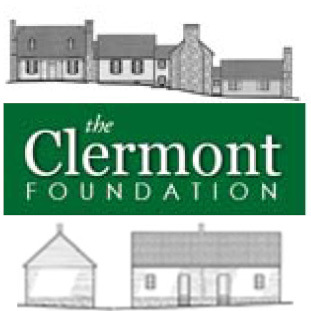 Under what program are funds available to care for graves and cemeteries associated with the Revolutionary War? §10.1-2211.1 of the Code of Virginia describes the disbursement of funds through the Department of Historic Resources (DHR) for this purpose. Such funds may only be disbursed to Revolutionary War memorial associations caring for such graves and cemeteries. What graves and/or cemeteries are eligible for such funds? Only those Revolutionary War graves and cemeteries listed in the statute are eligible to receive annual appropriations. How can I add a cemetery to the list to get funds for grave care? Adding a cemetery to the list in §10.1-2211.1 of the Code of Virginia requires the assistance of a member of the General Assembly who must introduce a bill adding the organization / cemetery / church to the list during a General Assembly session. Funds must also be appropriated each year in the budget bill. How much money is available for the gravesite care program? Currently, annual appropriations for grave and cemetery care are set at $5 per grave. For example, an organization providing care for 10 graves would be eligible for an annual appropriation of $50. §10.1-2211.1 also provides for larger, one-time appropriations for “extraordinary maintenance, renovation, repair, or reconstruction” in cemeteries on the list. These larger, one-time appropriations must be preceded by an appropriation made available by the General Assembly for this purpose and are granted at the discretion of the Director of the Department of Historic Resources. Do these awards require a matching share? No local matching funds are required for any grant made under §10.1-2211.1. How are the funds released? The Virginia Sons of the American Revolution (VASAR) administers the fund on behalf of the Department of Historic Resources (DHR). On or after July 1 of each year when annual funds become available, an officer of the VASAR submits a request for funds under this Code section. The DHR Director then requests the Comptroller of the Commonwealth draw an annual warrant from the State Treasurer requesting the amount as appropriated. Once the funds are allocated to the Department, as the pass-through agency, DHR then disburses the funds to the VASAR. An officer of the VASAR must submit a certified statement after July 1 of the following year declaring that the funds appropriated in the preceding fiscal year were or will be used for the purposes as specified in §10.1-2211.1. For what kinds of work can the funds be used? §10.1-2211.1 defines eligible work as “routine maintenance of cemeteriesâ€¦and the graves of Revolutionary War soldiers and sailors” and “erecting and caring for markers, memorials, and monuments.” Generally, annual appropriations are used for mowing grass, trimming shrubbery or trees, re-setting fallen markers, repairing fences or walls, etc.